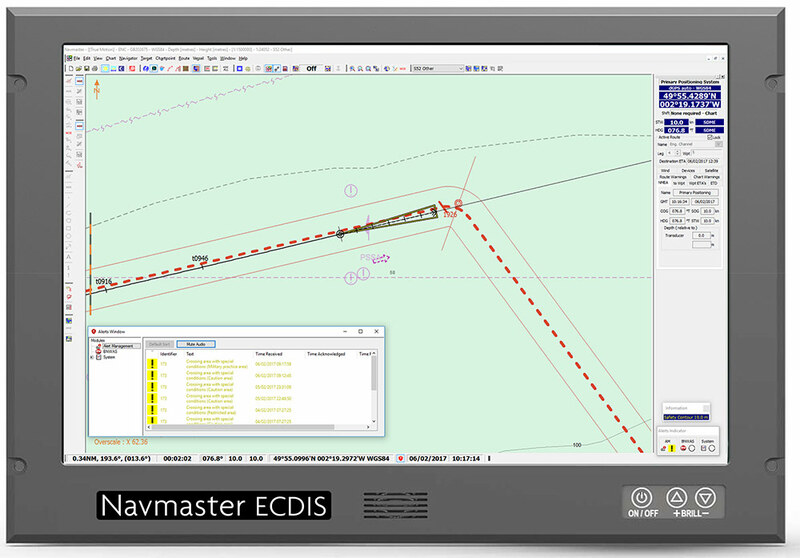 Navmaster ECDIS is a long-established Electronic Chart Display and Information System, incorporating the input of many navigators. It is fully compliant with regulations at low capital cost, minimal through-life costs and superior training & support services. It delivers clear functionality and ease of use in the familiar Windows interface. Flexible hardware combinations make Navmaster ECDIS easy to install in existing ships as well as newbuilds, from VLCC bridges to offshore support vessels. Retrofit installations can take place within sailing schedules, backed by a complete after-sale training and support service. Navmaster ECDIS v8 is type approved against all current ECDIS standards. IMO clarifies the status of older ECDIS equipment. MSC.1/Circ.1221. 11 December 2011. MCA Guidance. MIN 503 (M). (Replaces MIN 442). April 2015. Graphic display of ship types & ECDIS deadlines. UKHO table. Nautical Institute paper. November 2012. Nautical Institute’s checklist for type-specific training programmes. November 2012.